Santosh is a Canadian ‘Platinum’ recording artist who has been in the music industry for over 20 years. 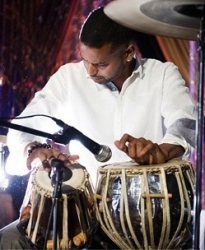 At the tender age of 5, he embraced the study of classical tabla under the tutelage of Ritesh Das and master Pandit Swapan Chaudhuri.At the age of 14 he became a co-founding member of the Juno Nominated World Percussion group “Toronto Tabla Ensemble”. As a member of TTE, he performed all over North America at various music festivals. In 2001, Santosh joined Platinum and Grammy nominated recording artist K-OS as his lead percussionist and drummer and has written and performed with K-OS for the past 9 years. Santosh Naidu has been nominated for numerous awards including a Juno award and a My Bindi Award. Santosh has also co-written scores for film, including “Anamika” (2002), “Burning to Shine” (2006) and “Calcutta Taxi” (2013). 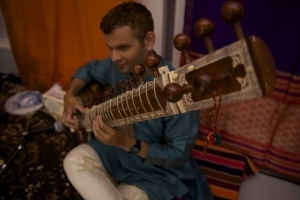 Priyank has been learning and playing the Sitar for about a decade. He started studying Hindustani classical music under the tutelage of Shri Premanand Bhat in Mumbai, India. He is continuing his education in Toronto under the guidance of Shri Christopher Hale. Priyank plays for our Monday night Kathak classes. Anita’s music practice represents a link between her heritage with Indian/Scottish roots, and community in multicultural Toronto. She has studied tabla for 20 years with composer and musician Ritesh Das and in California and Kolkata with the pre-eminent exponent of the Lucknow style tabla, Pandit Swapan Chaudhuri. 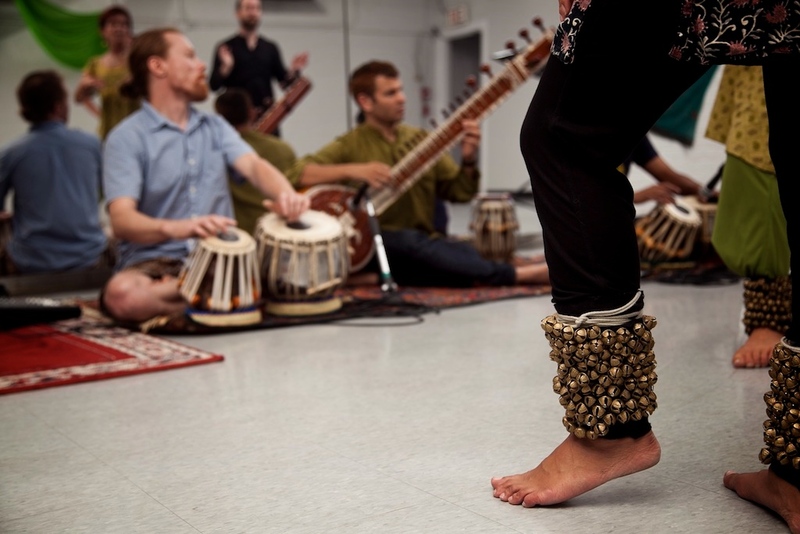 Anita began her teaching career at the Toronto Tabla Ensemble studios 10 years ago and has continued to teach out of her home in downtown Toronto. Anita has performed, toured internationally and recorded with the Toronto Tabla Ensemble and Jeff Martin and has toured nationally with The Tea Party. Anita has shared the stage with legendary Kathak dancer Chitresh Das, flamenco dancer Esmeralda Enrique, sitar virtuoso Anwar Khurshid, Canadian/Armenian guitarist Levon Ichkhanian, Toronto based composer Lisa Patterson and Paris based singer/songwriter Melissa Laveaux. In her solo project “Rakkatak“, Anita teamed up with local Toronto musicians to create an atmospheric backdrop for her work and has just released her second CD “Open”. Robin began playing wind instruments at the age of 11, and went on to complete his Bachelor of Music studying saxophone at the University of British Columbia in Vancouver, BC, where he had his initial exposure to the North Indian classical tradition. 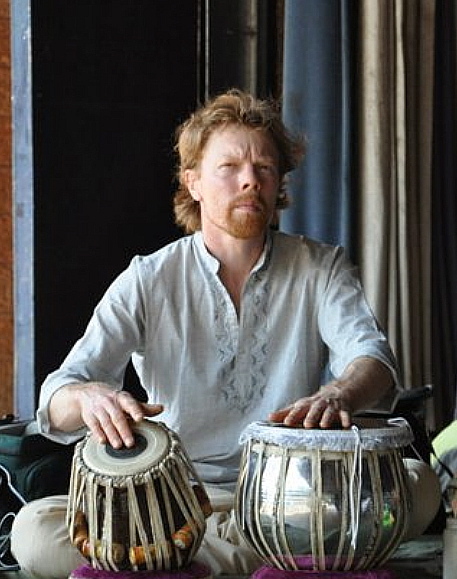 In 2004, he began studying tabla with Ritesh Das, eventually becoming a member of the Toronto Tabla Ensemble and an accompanist with Chhandam Dance Company, solo kathak performers, and instrumentalists. He has also had the opportunity to study with Pt. Swapan Chaudhuri in Toronto and India. He currently lives and performs in the Toronto area. 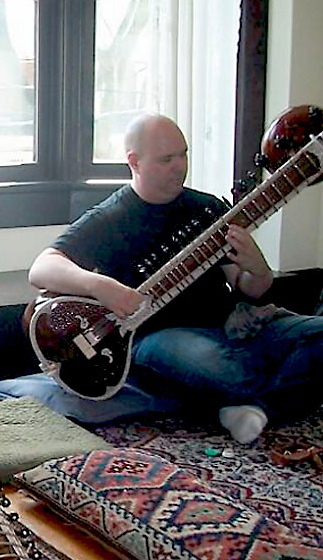 Shawn, a student of Christopher Dicran Hale, is new to sitar, but not to the arts. A career creative professional, artist and musician, Shawn has been studying Indian classical music since 2008, originally studying tabla. He is now a committed student of sitar, and has ambitions to become a well-rounded musician, able to solo and accompany dance and instrument.